Robo Stir automatically stirs as you cook. 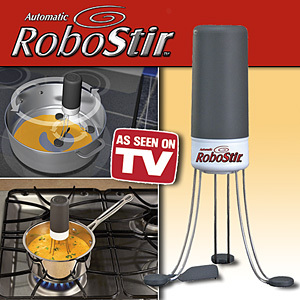 RoboStir, as seen on TV, specially designed legs stirs every inch of the bottom of the pan or pot so food is stirred thoroughly. The orbital turning action ensures no spot is unstirred. The silicone feet even get up against the edge. 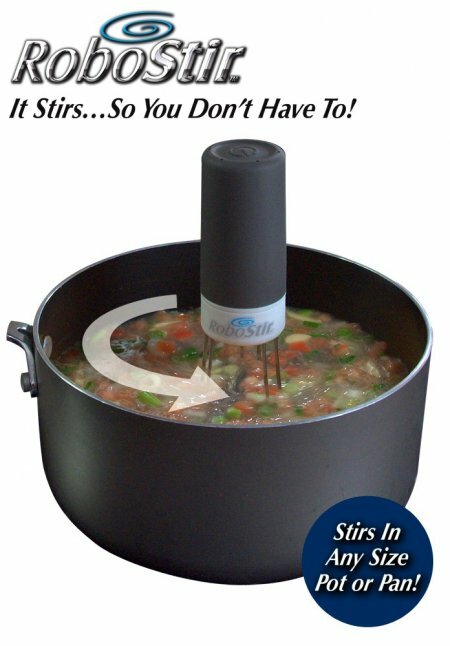 The RoboStir is water resistant and withstands temperatures up to 550 degrees. 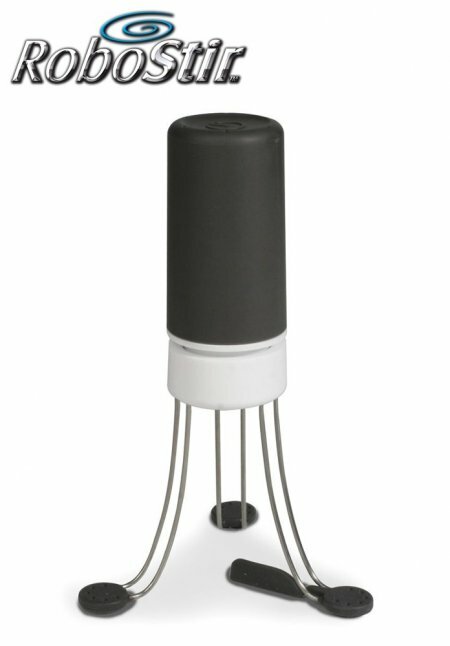 Safe for non-stick, aluminum, stainless steel or enamel pots and pans.. Great for gravy, soups, stews, sauces and more.